My hubby is awesome at times! Yippee, I did send the packages away! On Monday I took courage for it and went to the postoffice. Well, the last year many of the postoffices were closed, the big ones and little ones, case of money you know! And now we have small ones in mainly the reading shops,, where you can buy magazines, some books, cards of all kinds etc. In a way it's better cause it's not far away for me. But there are days, it is sooooooo crowdy there, with only one person to help, and only sometimes two. And you can guess what was the case on Monday? Yeah, loads of people waiting to be helped, for all kind of things. But I took my number and waited patiently till it was my turn, which was after about 30 minutes or so. Pfffffff, that is a long time when you have to wait and wait! But still I left the shop/postoffice with a good feeling. I am sure the packages will be well on time at their destination, if the post will not loose them on the way. And there was a pleasant surprise for me when I came home again. Jan already started with the curtains, what a sweetie! I offered to help him, but he didn't want it. So I went ironing, did it all, put it away in the closet, and the rack is waiting now for a next load LOL! I am happy the curtains are done, they have a different look now, ROFL. And now Jan and I are talking about the place for the Christmas tree, as every year. I suppose it will end on the same place but we are thinking about another place. I tell you a little "secret"about that! At the usual place for the tree we also have a little window, at the side of the hallway. And just opposite of that we have our toilet. And when you are in need to go to the toilet during a film, you still can watch the tv and don't miss a thing ROFL. But when the Christmastree is up, it covers the window, so no more tv from the toilet, hahaha! Tomorrow there will be the start of the Worl Wide Christmas Scrapbooking blogtrain!!!! So I will be posting again tomorrow. And to all designers I ask: "Please, join us in this awesome blogtrain! I am sure lots of you have already prepaired several kits or whatever for Christmas. Perhaps you can send in one little thing for that blogtrain? You still have time till about 23.00 pm this evening on the 30st of November! It would be great. Take a look at this link for all the information, and there's even a sneek peak of the contributions received till now! So I see you again TOMORROW, for a wonderful Christmas freebie! 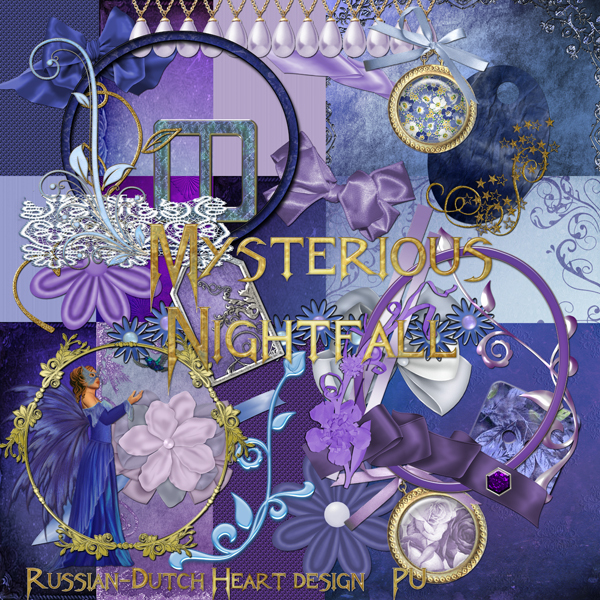 Today I have a nice one too, named "Mysterious Nightfall". And now it's time to get myself dressed and do some shopping, it looks as if I am rather lucky, till now, sun is shining a bit, although there might be coming a bit of rain later today. Another weekend has passed, in an appropiate quietness LOL. Oh, I had a great time, don;t misunderstand me! It started Friday after I posted on this blog, I first went out for a few grocerie shoppings, just quick. When back, I took courage and did some dusting and vacuum cleaning around here. Even started to do some ironing, after I grabbed a sandwich first. But oh, misfortune stroke LOL. I had to put in the closet a duvet cover and some other stuff and almost ended up with the closet door all over me. The hinges inside, that should hold the door, got loose in a strange way, which isn;t the best that can happen. So instead of ironing I tried to repair that. Well, I succeeded in such way, that the door couldn;t fall out, but it's very difficult to do it, holding with one hand the door in a good position and scewing the bolds with the other hand. The door is quite heavy. Which wasn;t the best thing for my back! I know, you all shout now, that I should have called Jan for it, but as I got into the room, I saw him catching some sleep at the couch(Later he told me, he almost didn;t sleep during the night, poor thing). So hardheaded as I am, I tried to do the closet myself. It took me some time to at least have it safe for the moment, and all my energy for ironing some more wa gone. But after a while I took courage again, ROFL, and continued a bit and hey, miracle, Jan came into the room, to tell me he wanted to get a little ride on his bike, to catch some fresh air. But as I told him the difficulties with the door of the closet, He right away took a look and also took action. It wasn't that easy, but with me as a helping hand it finally was done( even we did the other door of the closet, cause that one also was getting out of the hinges). It all took some time, however, so you can imagine I left the laundry as it was, no more ironing and it also was too late for Jan to take his ride, cause in the afternoon we wanted to watch some speedskating at tv. So it was a good idea of me, not to cook that evening, and I had my 4 cheeses pizza and it tasted great! And Jan made his own dinner, porc meat with a lot of lard on it(I hate them LOL). Saturday we planned to go to our neighbour, to bring the post again. So I got all dressed up, even got time to get me our weekend newspaper and then Jan said, he also could go alone. He though it might be better for me to stay home, cause of my back trouble. After given some thought I agreed with him, it wouldn;t have been wise to sit at the back of his bike, although I felt sorry for our neighbour. And I knew she would worry about be, much more than necessary. So I just hoped Jan would explain to her, I was much better already, but I didn;t get on his bike just as precaution. When he was away, I watched some ice dance at tv, something I love to see. Jan came back and we watched some more speed skating and then I made us a pistolet( little French bread, I just had to bake off in the oven) with shoarma. And I think it was a good thing we had no visitors, cause I am sure we carried around us a terrific garlic smell( you eat the shaorma with a garlic sauce, yummie!) ROFL! Sunday we just didn;t do much, Jan had his newspaper, I did some designing at the computer, in between we watch a bit sport at tv, it wasn;t such nice weather yesterday, rather grey and very much wind, and even a bit of rain, but today it looks better again. We are still around 50-53 F at daytime here, and I wouldn;t mind if it stayed that way for a looooong time, I can live with that till April! I think today will be the curtain washing day, yes! 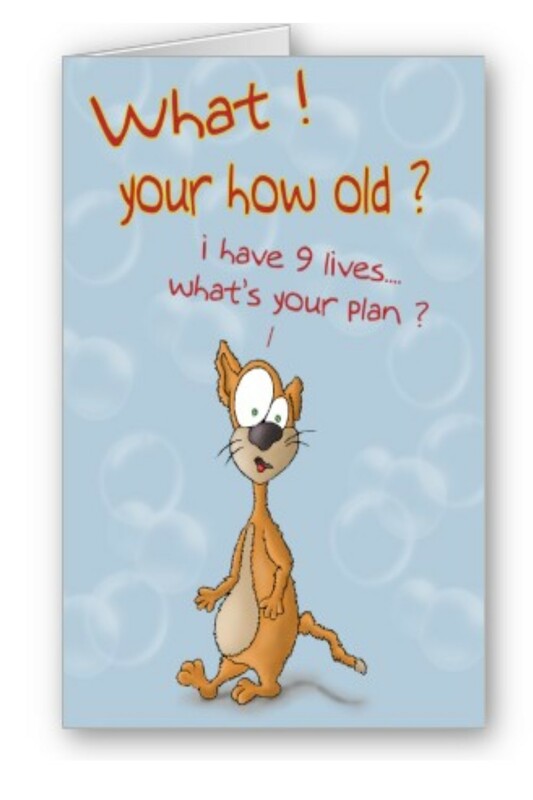 I know, it was planned some days ago, but you kow how it goes with my plans, hahahaha. But today we can hang them outside for a while to dripp off a bit, and especially for the ones at the back of the room, the long ones, it's much better to do. Well, I hope it will be done, then that will be okay till after Christmas. Okay, time to get busy around here, but I have a lovely kit for you. 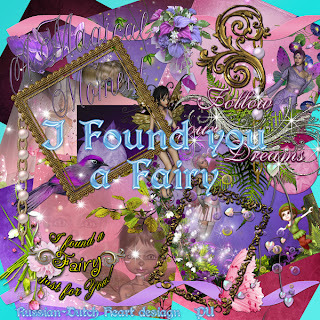 This time it's a fantasy, fairy kit again, which I didn;t make for a long time. I named it"I Found You a Fairy". Gosh, it's already Friday again! It seems that towards the end of the year, the days are over with much quicker than in say, the month of May! It doesn;t look all to bright outside, rather grey, much more wind and even expexting some rain. Not the best weather to go out, but I;ll have to go to the bank for the payment of the energy-gas bill. ell, it will not be bad to catch a bit of fresh air, but I hope the walk will be without rain. I heard yesterday some amazing news on tv: in parts of Holland the farmers have to water their fields, because of the shortage of water. And that in November! Real funny to hear that. Ha, today is my not-cooking day LOL I think I will have myself a pizza, and Jan always makes his own dinner, yeah! As he isn;t a fan of pizza, I have a left over for him from yesterday's diner, a hotch potch with potatoe mash and sauerkraut and he will just have to make a little piece of meat with that. Oh, he doesn;t mind it. So this evening it's easy peasy for me, just putting the pizza in the oven and after about 20 minutes get it out. Not too much happened the last couple of days, so I guess it will be a rather short post. Oh if you want to see an aodrable squirrel, then hop over to Miss Edna's blog, she had a very naughty squirrel visiting her and she made a great close up of it. And then you also can read a bit of the history of the Pilgrims. Did you know they first took "shelter"in Holland for some years, before making the passage to The New World? Oh whee, how nice us Dutchies could be at times, ROFL. Okay, I should get busy around here, lots of things I want to do today. But not leaving without a freebie. 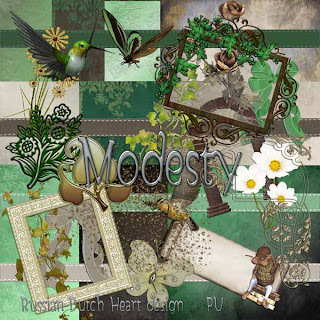 It's a kit you can use for a lot of layouts, named "Modesty". We had quite a lovely day here yesterday. Our part of the country was nice, with even some sunshine, so it was a fine day to do some shopping. And my Christmas boxes are ready for the postoffice! I think I will bring them at the start of next week. I finished them yesterday, taping them well etc. There is just one thing I am always facing AFTER I have them ready for shipment. From that point on I always see some nice things I might have put in too! It's aweful, you know! I walk somewhere and see a cute thing what might have been a nice present for one of the receivers. And then I know it is time to bring them quickly to the postoffice, otherwise I am capable of cutting the boxes open and put in some more things. It's very frustrating!!!! ROFL. I am hoping to do the washing of the curtains today, at least of one side of the room. And if I am brave enough I could do some ironing too, we;ll see how far I get, grin-grin. And perhaps it's not a bad idea to start writing some Christmascards and have them ready to post somewhere next week. It's not so far away anymore, you know, that holiday! Oh, got a phonecall from Heidi, the other day and she told me that they will not be home with Christmas. So I think we will be having guests at Christmastime, their rabbit and bird LOL! Heidi and family will be away for a week, so I rather have those pets here, much easier to take care of. Must also not forget to make a phonecall to the hairdresser for an appointment. I always push that forward, but now it's really time to do something about my hair again, hahaha. And I better go there before everybody wants an appointment, just before the holidays. Slowly time for me to get busy here, first will hop quickly under the shower and then do some serious business. Take care, have a great day! After a rather quiet weekend here we go again for another week LOL! But I did some work in the kitchen and made on Friday my Pirog and did it well!! I think something went wrong with the flash, but you can still see it well enough. about 300 grams of minced beef meat. (but also you can take mushrooms, or white cabbage, or minced meat with veggies like leak, cabbage, etc.) My favoutie is however minced meat. Knead the flower, yeast en milk together till a doughand let it rise for an hour. After that put in the 2 eggs(loose beaten), pinch of salt and the melted butter and knead until the dough comes loose from your hands. Let it rise again for half an hour and roll it out thinly. In between you make the filling from the minced meat, with salt, pepper, onion, little bit of garlic, crash the 2 hard boiled eggs with a fork and put those away. Frie the minced meat in a pan without any butter, loosen it up, let it drip off a bit, then put in the hard boiled eggs. Take the rolled out dough, cut it in two rectangles(if you will use a baking plate) or roll it out in two circles(like I did ). One part a bit bigger than the other. Take the biggest part en put it on your tray, (don;t forget to buter the tray first), put on the filling and cover with the other part of the dough. Bend the sides up from bottom to top, roll them a bit till they glue together. Take another loose beaten eggs and "paint"the top of the Pirog. Let it rise again for about 1/2 an hour and then bake it in the oven on about 200 degrees, ca. 45-60 minutes. (mine took a bit less, cause it was smaller). Check now and then if it will not become too dark. If so, put over it a piece of aluminium foil. When ready take out and let it cool off a little bit before cuttiing. Wonderful to eat with a bowl of soup! When uploading the picture of the Pirog, I saw that I still had a picture of ages ago on it, from my salamander. But it was such a cutie, that I will show you . Saturday Jan went on his own to our neighbour, I didn't had the guts to jump on the back of his bike with my soar back(though it is almost gone now). I think I will call her today or tomorrow, now that we didn;t see eachother. It's very foggy outside the last days, even to such thickness there were problems on the roads. Fog can be very nasty and people take care, but still not everybody and often there are accidents because of it. I hope it will dissolve later today, it's so grey and a bit gloomy looking. Well, time to have another coffee soon, and then finish the packages for Christmas yippee, I can send them away very soon! And I think I'll have to get out the vacuum cleaner today too, LOL! What about a lovely kit in pastel colours, very suitable for lovely layouts of new born or little babies? 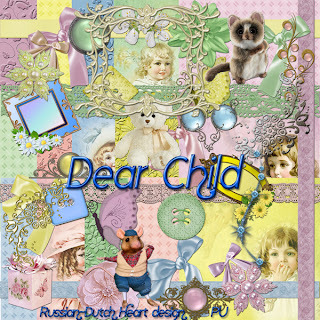 I have one for you, named "Dear Child", it will be in two downloads, one today and the other Wednesday, cause it is a rather "heavy"one. I did yesterday almost nothing! Well, I mean no housekeeping LOL! It was easy to do so, cause a little spot in my back played on again it's tune a bit, not funny at all, ouch! It's already a bit better today, but bringing on a strange look at my face at certain moves. Not to worry much, it will pass again. But I took advantage of the fact it was better to stay a bit quiet, and wrapped up all the Christmas presents I already had. Good thing I did, cause now I know I still need one little thing and then I can send it all away. Have to pass the toy store and ask them if they have one or two little carton boxes. They always have loads of boxes, so I think they will be so nice again to give me some. Did also some designing, some quickpages for Christmas and even started a new kit. In the evening we watched a terrific documentary of the nature of Madagascar! Nature there is very special, there are animal and plant species there, you will not find anywhere else on earth! And it keeps amazing me, how animals and plants can survive in sometimes harsh conditions. I love to watch those kind of films at times, and no matter how often you see perhaps the same things, every time again the "oooohhh's and ahhhh's" are uttered again ROFL.! Perhaps this weekend I will try my hand again on a Russian recipe for Pirog. I found one that looks almost like my mother used to make and it's a very tasty kind of pie. My mom used to make it with minced meat, and it's a great thing to eat with a bowl of soup and very nourishing. But you can use all kind of fillings for it, like sauerkraut, or mushrooms, whatever you can think of. So I''ll be busy cooking a bit, and perhaps finishing the Christmas presents, and a bit of designing, and whatever I can think of hahahaha. Anyway, enough plans, not to forget that we will have to visit our neighbour again on Sunday. If I think it's wise to sit on the bike, with my damned hurting little joint in the back. We'll see. And do I have a nice kit for you? I think so! 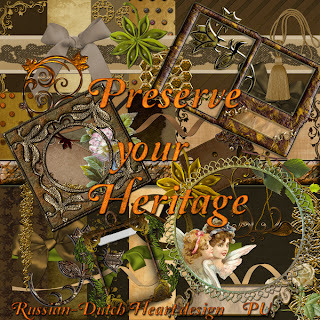 I named it "Preserve your Heritage", in nice browns and I really like the frames I've made. 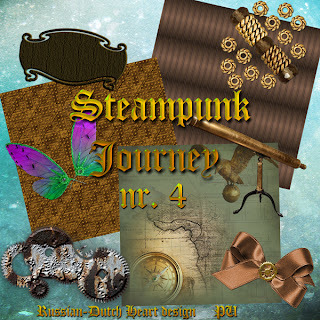 So I hope you will make some nice layouts with this kit, and you know, I love to see some examples, grin-grin.! We sure can notice that temperature is getting down the last few days. Specially at night. The most annoying about it is, that our front window is covered in the morning with moist, due to cold temps outside and warmer of course inside. It's now every day, but the last few days I have to dry the window when I get up and open the curtains. Very annoying, but it will only stop I guess, when we should have double glazed window, and that is too expensive for me now. So we will have to dry them in the morning LOL. One thing is good about it, if you want it or not, you clean your windows ROFL!!! The thing for the worse is, that the curtains have quickly some nasty light brown marks on them,(because of the water dripping down slowly, and the curtains that glue a bit to the window, yak!) so I will have to give them a wash soon. It keeps you busy, isn;t it? You really can feel winter is coming nearer, at some places in Holland there is already a bit night frost, which can be very tricky for traffic in the mornings. But still, at daytime, weather is not really bad, till now we have rather bright days, sun is pouring out it's rays over us, and dressed in a warm coat, it still is nice to be outside. Another sign of the days and nights getting colder is that our cats spend much more time inside. Specially Dikkie Dik, who is the most adventurous one, and normally spending lots of time outside. But not anymore! Both of them love to get hours of sleep on the couch, and in the evenings, trying to wringle themselves between Jan and me, or even ON me. I think I will have to do some ironing today, another load is already waiting in the washing machine, so I better get rid of the stuff that is dry already. It's always the starting that is the toughest, LOL, because when I get it going and do so for about half an hour, most of it is done. I just counted the days will the day we will have to start our Christmas decorating again and there are only left about 20 days!!! I don;t want to think too much about it, yet, cause it's a lot of work, but when done, sooooooooooooo cosy. This last part of the year will be done with before you know it. Today I will offer you the quickpages I was working on. 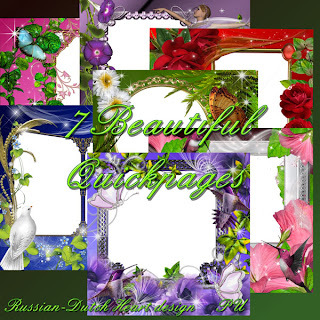 There are 7 in total and I've made one layout with it, to show you a bit how they look with a picture. Here is one with our cat Brodski. 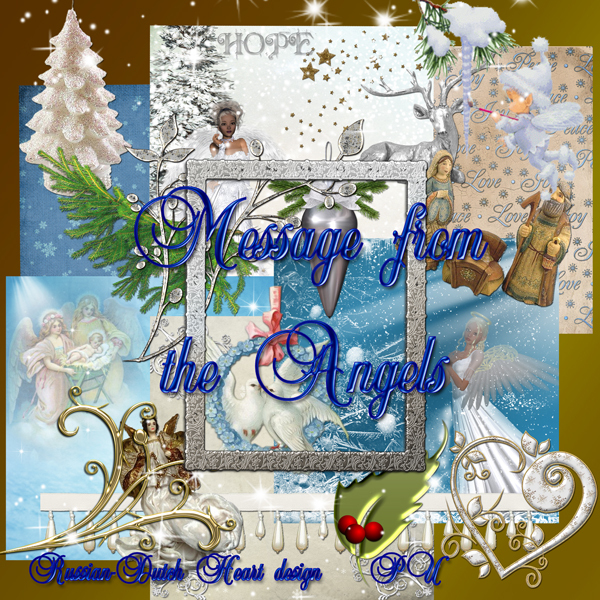 Have a great day, don;t get stressed yet about the idea Christmas is peeking around the corner ROFL! Weather Gods are still good for us. Yes, we still have nice weather over here. Although it's getting a bit colder, in daytime it's still good to get outside. We even have periods with sunshine, and although you need a warm coat, may be even sometimes a pair of gloves, we shouldn't be complaining. So on Saturday I had to buy the newspaper and it was such nice weather, I made a tour in the shopping street, slowly and enjoying the weather.! I also did turn on the washing machine, and while it was busy, I changed the bedsheets. Why not doing that before turning on the machine??? Very simple, because there was no place in it anymore for the big duvet cover an undersheet etc. LOL! Yesterday afternoon Jan and I went to our neighbour again for a visit and to bring the post. It's nice to see that somebody is happy for your visit. We chatted quite a while, and then returned home again. We'll be visiting some more, certainly this month, cause her son is on holiday at the moment, and she has two more, but they live abroad. We will see who will take care of her house when the son is back from holidays. It's no trouble for us, because we only have to go upstairs. Her son is living a bit further away. I truly hope for our neighbour that she will be able to return to her home again in some weeks. She has to undergo still surgery for a new hip, so she'll be needing to do rehabilitation(is that the word?) to get used to the hip again. And as she is having some more heallth problems, I so hope she will be able to overcome it and return to her house. She has house care every day at home and till now she was able to live on her own. I can see she isn't happy living in the home where she is staying at the moment, and I can understand that completely! I am glad we can bring a smile on her face sometimes, when we visit her an tell her e.g. about a walk Jan and I did many years ago in a park, and we were in such a good mood, that we started to sing some children songs, well, mainly Jan, that we then were passed by two older ladies, looking a bit strange to us and I said to them:"Ladies, do not have fear, the guy has permission from the mental institution, to take a walk, under my guidance, but he isn;t dangerous at all!". 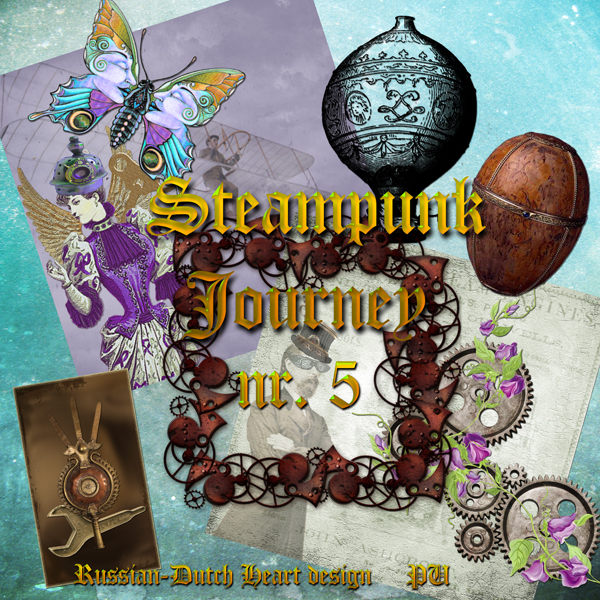 The two ladies quickened their pace, without saying a word to us and when they were at distance Jan and I laughed out loud, till the tears run over our faces! I know, Jan and I have sometimes a strange sense of humour! Well, time to end the post, but here you have the freebie, I gave you a sneak peek on Friday. 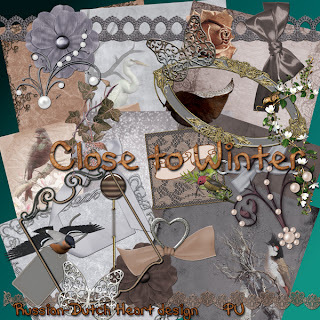 It's named : Close to Winter. 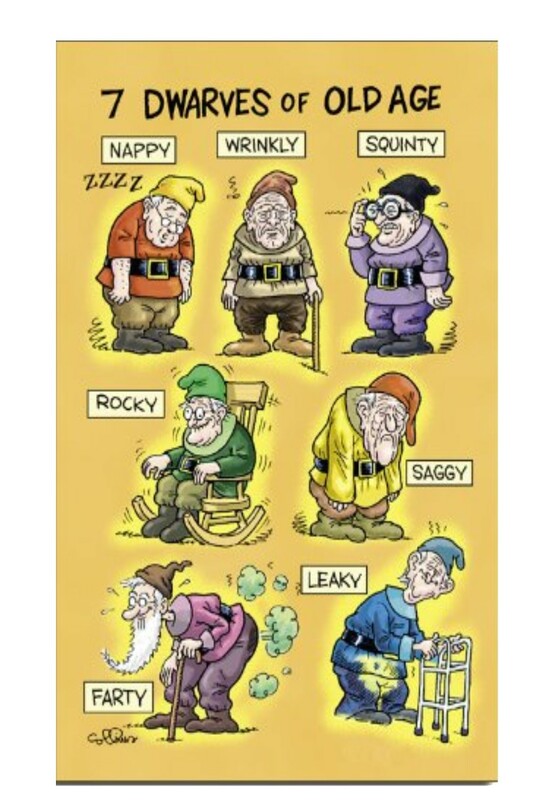 I AM GETTING OLD!!!! FORGETTING THINGS! Just a quick post, because I did forget to post part 4 of Steampunk Journey! How stupid is that????? Glad some of my visitors pay real good attention LOL! Sorry, is all I can say. 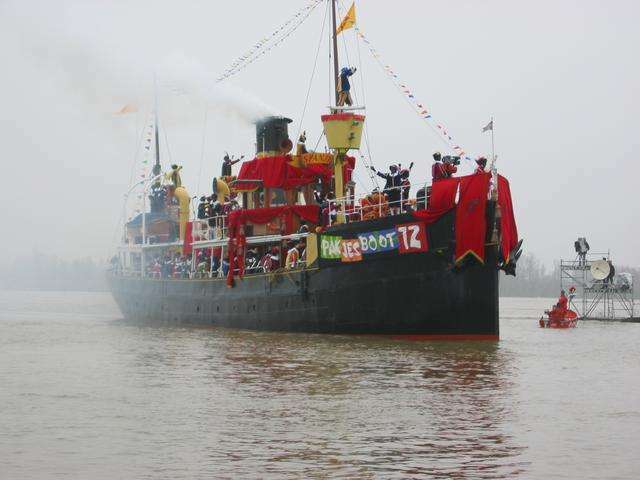 Sinterklaas is coming to Holland again. I am sure tonight a lot of little children will have trouble to get to sleep! And why? Because tomorrow arrives again Sinterklaas from Spain! The holiday of Sinterklaas is on the 5th of December, but the good man arrives some weeks before, because he and his loyal Black Peters have a lot of work to do! 1. 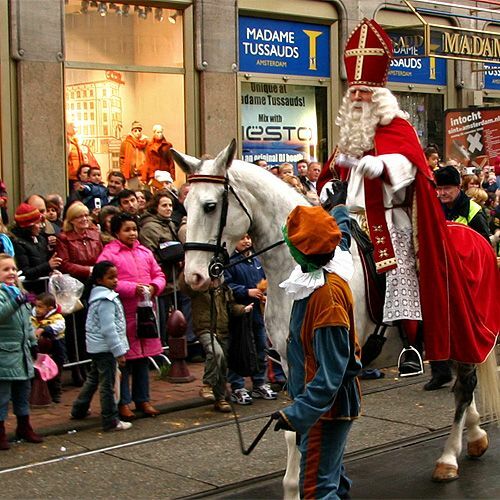 The day of his holiday, Sinterklaas 5th of December, Santa Claus on Christmas. 2. Sinterklaas is a bishop, lives in Spain, and Santa Claus comes from the North Pole. 3. Sinterklaas has Zwarte Pieten(Black Peters) as assistents, Santa Claus has his elves. 4. Sinterklaas rides a white horse, Santa Claus a sleigh with reindeer. This are some of the things I could think of this moment LOL! Oh, if I could go back to my young days again, when I really believed in him! It's such a nice time, full of expectation, hope and lots of butterflies in the stomach. And I still remember that in the weeks before the Great Day, I walked with my mother at the street and she sometimes pointed out to me a little window at the top of a house or a chimney and whispered to me: "Look quick, Kyrotchka, I see a Trappedoelie there peeking!" And a Trappedoelie was a little helper from Black Peter, younger and smaller than he was, and also they could be very naughty! And I REALLY SAW THEM! What can believe and imagination do to you?? It's wonderful! I have found two little pictures of Sinterklaas, one from the steam boat( we call it the "presents boat") on which He arrives from Spain and one of Sinterklaas riding his horse through town, waving gently to all the children. Yesterday it was my "housekeeping"day LOL. Did a thorrow dusting, cleared out some bowls that I have standing here and there(they always get filled slowly with all kind of things, some lighters, some thread to sew, little papers, a ballpoint or two, some coins, etc.etc. ), and got out the vacuum cleaner. Well, all that kind of stuff. Also prepared already dinner for the evening, made a hotch potch of potatoe mash with onions and carrots (sliced parts of them), you put potatoes and the onions and carrots all together in a pan and let it cook for about 20-30 minutes and then make a mesh of it. Added a little bit of small chnks of fried bacon to it, of course some salt and pepper. It's a real Dutch kind of food I think, and it is called "Hutspot". I only had to put it later into the oven to warm it up and added a veal-meat sausage to it. It's not really my favourite dish, the Hutspot, but sometimes I like to eat it. Jan loves to have it, so it was his day yesterday LOL. There's still left enough for him for today, so he'll be happy. I think I will make myself something diffeent, only have no clou yet. Must be something real quick and easy. I didn;t see yet that she has posted on that blog, so take a look later today or tomorrow. Now today I'll have to get some groceries, not much, but necessary. It looks not bad outside, even sunshine! Hmmm, time is going fast, I'll have to get moving . Have a wonderful weekend, and till Monday! Started the day with a chuckle! In all I can say the last two days went by very easy peasy! Didn't do too much, apart from designing and a little bit of housekeeping(very little!). 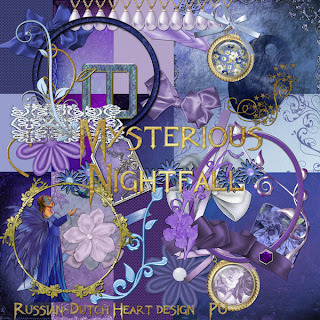 Yesterday I completely was out of my rythm, cause I slept till 11.00 in the morning WOW!!! And I did get to bed at my usual time on Monday evening. I started with, what's new, a coffee and reading teletexte. Then checked email and blogs and started up PSE. By that time Jan got up(he goes to sleep very late so in the morning I am the one up rather early, oh, I cherish those moments in peace LOL) and drinking his coffee turned on the tv. Then after a few minutes he kind of groaned to me that the remote control wasn;t working. Strange, just a bit before I used it and it worked fine. But.... it could be just the case of empty batteries. Can you guess already? I looked into the draw where we keep them and had all kinds of batteries, but just not the smaller ones, the AAA. Bummers! Jan only could use the button for switching out and on the digital tv receiver. As a too good girl, Kyra closed the computer, hopped into some clothes and went out to buy some batteries. It's not far to walk, so in about 15 minutes I was back again, with two sets of four(only needed two, but now we had some in reserve). Jan put in the new ones, that seemed to work, till after a short moment, again nothing. He changed to the old batteries again, no luck. New batteries again, better???????? Now he even couldn;t switch on and off the digital tv box. No, I didn;t give up yet!!!!! I pulled out the plug for the digital box, and put it in after a few seconds. And TADAAAAAAAAA!!!! All worked well again. ( even with the old batteries!). http://forkhandlesforkhandles.blogspot.com scroll down a few posts to get the start again after her holidays and try to put youself in her place! I love the way that women writes about the daily events at her shop! 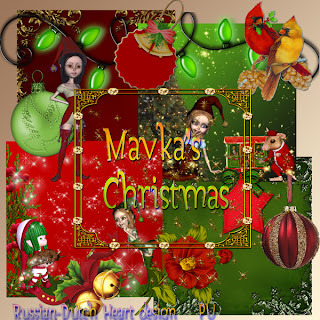 I have something to show you, some Christmas stuff I've already made for Minky's Christmas blog. It may not be posted for download yet, she is very busy at the moment, but if you like it, try it again at a later time, okay? I'll give you the link to Minky's blog and there you will find the link to the Christmas blog. I also finished already my kit for the World Wide Christmas Scrapbooking Freebies blogtrain( you can see the logo in my sidebar). We are supposed to put on the contribution at the 1st of December. 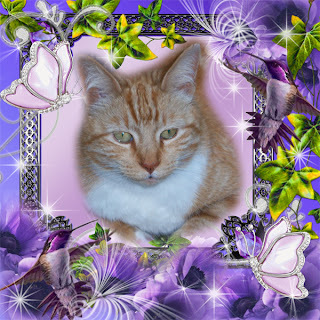 So you will have to wait a little bit, but then I am sure you will find lots and lots of treats! It should become a fairly nice day today, speaking of the weather, so a good time to do my shopping, (I hope for a bit of sunshine later today). Gosh, even forgot to tell you that Monday afternoon I went into town centre, to look around if I could find the last needed Christmas presents. Well, I found something, but not all. It's however tempting to walk around the shops there, while they already have lots of Christmas stuff. But I restrained myself, og, what a brave girl I was indeed, and didn;t buy anything!! Would have been a bit ridiculous too, cause I already have so much stuff at home! However, you know how it is! You ALWAYS see something new or funny or beautiful, that cries out to you ROFL>! But I stayed putt!!! 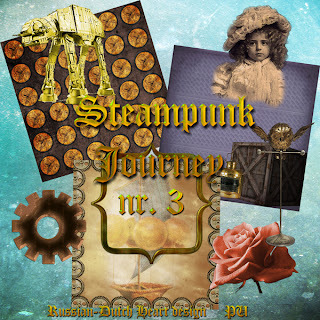 Time for the next part of the Steampunk Journey, this time only one and then Friday the two last ones. Our weekend was a nice one. Saturday it still was real nice weather so I just went out for the weekend newspaper, and made a little tour in the shopping street, just because it was such nice weather, and I even found two little Christmas presents, yeah! I am almost ready now, still have to go out for another search, may be today, and then I can wrap them up, and bring them in time to the postoffice. 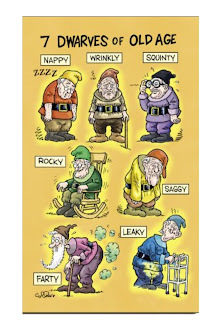 Told you a bit about our elderly neighbour who is temporarly in a home now? She is disabled, cannot walk very much, goes out in a special scoot mobile, suffers of several things, but her mind is okay! Every now and then we met on the street and made a little talk, but we also have her keys, so if necessary she can call us and we can come to help. That has happened a few months ago, she fell down, so Jan and I went up and could call help for her. Now her son is on holiday, so nobody takes care of her house so we offered to do that. Well, Satuday Jan went upstairs to see if there was some post for her and also watered her plants. Sunday afternoon we went to the home our neighbour is staying to bring the post. We stayed there for a while talking, I told her some more about my family, a bit how Jan and I met almost 20 years ago, and I think she really enjoyed it. At times her eyes opened real wide as she heard our stories! The poor thing wants to go home, but for the moment she cannot do that, cause in her fall she badly hurt her wrist and damaged one hip some more. So first her wrist has to get better, otherwise she cannot hold her rollator in her house she needs for walking and also her hip is giving her trouble. She needs an operation for that, a new one has to be put in, may be somewhere in december it could be done. We promised her to come back next weekend again, to bring the post again and she was sooo happy. And why not? We can make somebody feel a bit less lonely and we get out the house too in this way. Oh, Friday evening Jan went to the house of the guy with the billiard. He had invited a few people but only Jan and one other man had come! Not too nice, I think. But Jan had a good time there, and perhaps in future he will go there once in a while to play a bit the billiard.Jan had a "fresh looking head"again, cause in the afternoon I gave him a haircut. I am getting better and better in it LOL! I think a real hairdresser will run away screaming seeing my "work of art"ROFL, but it's not too bad either. During his visit I watched some tv, and even did a bit of designing at the computer. As you can imagine I didn;t do too much on Sunday, so this week I have to finish up a kit for the World Wide Christmas Scrapbooking blogtrain and also want to make a few things for Minky's Christmasblog. 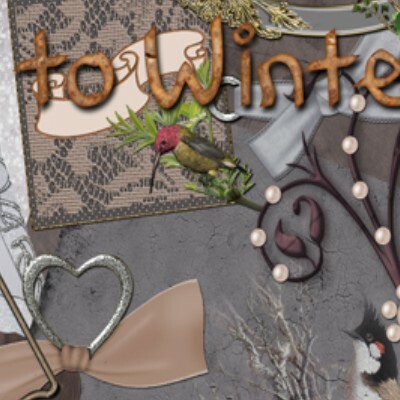 http://faeriechristmas.blogspot.com/For newbies may be a nice thing to take a look, Minky and I made a lot of things last year and all is still available for download! And as soon as there will be new stuff I will give you notice, okay? 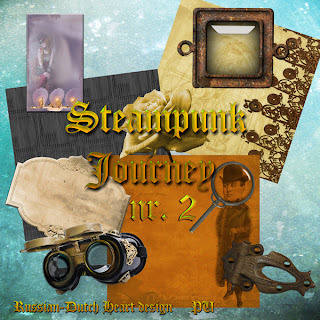 Today I have the start of a several parts download for you, in a Steampunk theme. Not everybody likes that theme, but I do enjoy sometimes to design a bit in this style. Well, it's a change from the "usual"stuff LOL. I will be nice to you and give you already TWO downloads of the 5 parts. 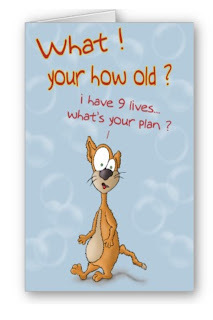 First I start with wishing a Happy Birthday to Edna!!! 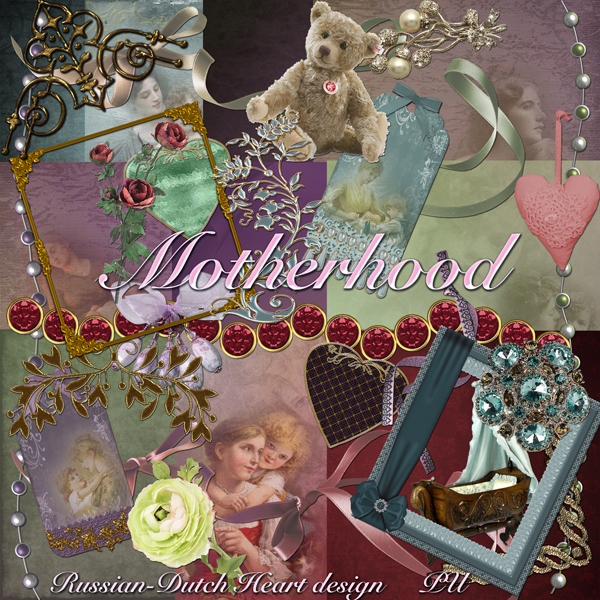 I already sent her a card by post but on the net I found these and just have to post them! Would be nice if you visited her blog to leave a little birthday wish! Then I have two links for you to take a look at some layouts, made with kits of mine. http://scrapstreet.com/11gss/11no/green.htm Take a look, cause they are really great! The last couple of days I was, amongst doing some shopping and ironing and washing and vacuuming, in the kitchen. I made another bunch of stewing pears, made a soup we will have for easy dinner this evening, and then also making dinner of course. It doesn;t sound much, but it all took quite some time. I had a chicken filet, vut it in little chunks, pepper and salted it and fried them in a pan with just a little butter(you can also take olive oil), then had some bacon, cut that in real small chunkies and fried them too. In the mean time had the spaghetti cooking(al dente, that's the best). Chicken ready, I aded a creamy white sauce, easy peasy out of a package, added some water to it and on the chicken. Then also the bacon, some fresh parsil and lots of pressed garlic. Spaghetti ready, added a bit of butter to it and then on the plate, on that the chicken and sauce and I must say, it was real yummie! Oh I was a happy girl yesterday, because I found a few little Christmas presents. Still want to find a few more, but there is a start. Today we decided to take a day off, LOL, I only have to cut Jan's hair again. I will have to make an appointment at the hairdresser for myself, cause there's nothing to do with it anymore. Perhaps next week. And I must not forget that today is the opening of the speed skating season, it's the Dutch championshoip and our best speed skater, Sven Kramer, is presenting himself again. He was out of business for a long time due to a nasty injury, but it seems he is on the way back again. Very curious to see how he will do today. This evening Jan is going to an acquaintance, who made a little billiard room in his house. They normally meet in the cafe to play a game, but soon the cafe will be closed, it's a pity. It seems it has been bought by someone who wants to continue a cafe, but then first it remains to see if it's in the same spirit. So the acquiantance invited a few guys to "celebrate the opening of his billiard room"LOL. I don;t know how long he will stay there, but I have enough to watch on tv, there's The Voice of Holland again and I also can do some designing in peace an quiet. Today's kit is a real nice one, if I may say so myself ROFL!!! It's named "Remember with Tenderness"and I think some lovely layouts can be made with it. Face and mind going towards Christmas. I hope everybody had a safe ride on her broom yesterday evening?????? Now that Halloween is over we are heading to Christmas. Yes, I know, still about 2 months to go, but it's sooner here than you think! It's definately time for me to find a few presentsand get them in time so I will be able to send some things by post and that should be no later than the first week of December. Weather like it's still good here. We still have temps that are around 5 degrees higher than normal in this time of year. Well, I don;t mind it at all, it can stay this way till end of April, but I am afraid one day suddenly real winter will be here again, brrrrrrr. We took advantaged of the soft weather on Monday and made a walk to the market. It was such a nice temperature, that we stayed longer than normal. What did we find this time? We bought two leggings for Jan, to wear under his trousers during really cold days, when he has to go on his bike. LOL. Then almost al veggies and fruit were at a very low price, so we took with us a kilo of tangarines(mandarines) and they are real sweet of taste. Then another chunk of cheese, some batteries for our doorbel, some parsil, I will cut it and put it in the freezer, oh and I also bought some paprika powder and black pepper, in a rather large amount, because I use it a lot and it was cheap. When you have to buy it in the supermarket, those dried herbs and so are in tiny little boxes, and expensive. Yesterday I went out again, this time for the normal shopping. Bread again, some catfood, coffee, that kind of things. Amazing how soon they dissapear from the shelf or freezer every week, grin grin. 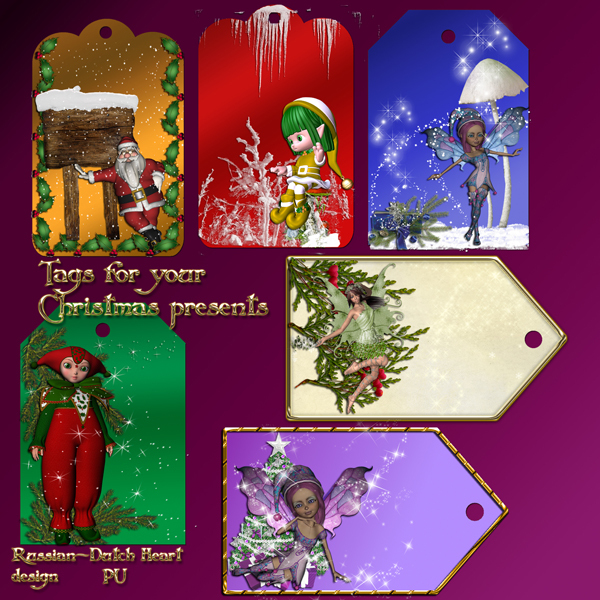 I also could do a bit of designing, still working on the quickpages serie, but also on a huge Christmaskit. I already have two smaller once in stock, ready! Proud to say that I got again an invitation to join the yearly World Wide Christmas Scrapbooking Freebies blog train. Yeah, that's on it's way too! 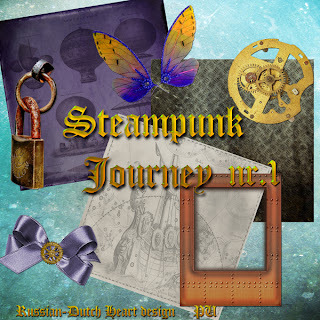 May be I will use one of the smaller kits, I've made already, or perhaps I will make one specially for this blog train, not sure yet. I think it will depend on the inspiration and time I can spend on it. 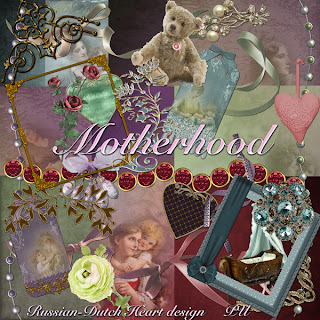 Today I have a kit for all "new" and "old" mothers, simply named "Motherhood". Now I have a little bit of time left, to go on with the kit I am working on and then I;ll have to go out, to get some medicines again, I am running out. Perhaps I even sweep around with the vacuum cleaner, and perhaps tomorrow I will go to town centre to have a first search on the Christmas presents, we'll see about that. Anyway, I wish you all a great day!